The hands often give away your true age. 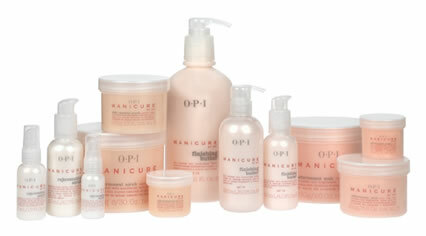 Treat your hands to OPI Manicure with or without a Paraffin Wax to keep them looking and feeling young. OPI Manicure is a facial-quality system so luxurious and clinically effective it transforms an ordinary manicure into a spa experience. Skin renewal Scrub natural sugar with emollients. Effervescent Soak with minerals and brighteners. Nail Shaping, cuticle exfoliating. Rejuvenating serum anti-aging with grape seed and licorice extracts. Can use the paraffin wax with heated mittens, hand massage with finishing butter, clear nail polish with vitamins and minerals ( or bring your own colour). The results are nothing short of sensational - softer, smoother, younger looking hands that improves with continued use. Leaving you feeling relaxed and pampered. Paraffin hot hand wax offers the hands a rejuvenating and relaxing experience. This treatment includes hydrating hand cream smothered all over your hands and then gentle lowered into the paraffin wax three times coating your hands in layered wax then placed into mittens. When removed you have the option for a relaxing hand massage. Leaving your joints feeling relaxed, skin feeling soft and you pampered. Paraffin Hot Hand Wax is an extremely effective treatment in rheumatoid arthritis patients, followed by a hand massage.